Diabetes is one of the most common diseases that are prevalent across the world currently. Ayurveda, the ancient science trusts a few herbs that help manage blood sugar levels. We enlist these herbs that may help manage diabetes naturally. Diabetes is a condition in which your body doesn't respond to insulin, which eventually leads to abnormal metabolism of carbohydrates, which further causes the blood sugar levels to spike. Diabetes is one of the most common diseases that are prevalent across the world currently. The global prevalence of diabetes* among adults over 18 years of age has risen from 4.7% in 1980 to 8.5% in 2014, notes the WHO. While diabetes cannot be cured, it can be managed well by eating a healthy diet, engaging in exercises and leading a healthy lifestyle. According to Ayurveda, diabetes is referred to as madhumey, and as a part of the treatment and management, it suggests avoiding excess intake of sweets and simple carbohydrates. Managing diabetes is a tough but in no ways is it impossible. Scientists across the world are working round the clock to come up with ways and medicine that could reverse the condition without any side effect. There are many ways in which you can manage your diabetes and untimely blood sugar fluctuation like by maintain a healthy diet. Ayurveda has many tips that could help you through. In fact, it suggests eating more leafy greens and bitter vegetables that are known to benefit your health. Ayurveda, the ancient science trusts a few herbs that help manage blood sugar levels. We enlist these herbs that may help manage diabetes naturally. Please note: the condition may vary from person to person, do not, in any way take these natural remedies for diabetes without consulting your doctor or a certified Ayurvedic expert. Vijaysar is said to have anti-hyperlipdemic properties that help reduce total cholesterol, low-density lipo-protein and serum triglyceride levels in the body. It tends to reduce certain symptoms of diabetes like frequent urination, overeating and burning sensation in limbs. Vijaysar can be used in the form of utensils like glass, or internally as powder, tablet and capsules. It helps improve insulin sensitivity, peripheral utilisation of glucose, GLUT4, which ultimately reduce blood sugar levels. You could simply soak a piece of vijaysar wood in water overnight and drink the water first thing in the morning to regulate diabetes. Paneer ke phool is a flower in the solanceae family, which is majorly found in India and used in various medicines in Ayurveda. The flower tends to heal the beta cells of the pancreas for better utilisation of insulin. If taken daily, even in small quantities, it could effectively help manage diabetes better. Take about 7-10 pieces of paneer ke phool soaked in water overnight and drink the stock on an empty stomach first thing in the morning. According to the NCBI, regular consumption of withania coagulans for 30 days significantly improved the glycaemic status. Sadabahar, also known as periwinkle, is a commonly found plant in India and is said to be native to Madagascar. 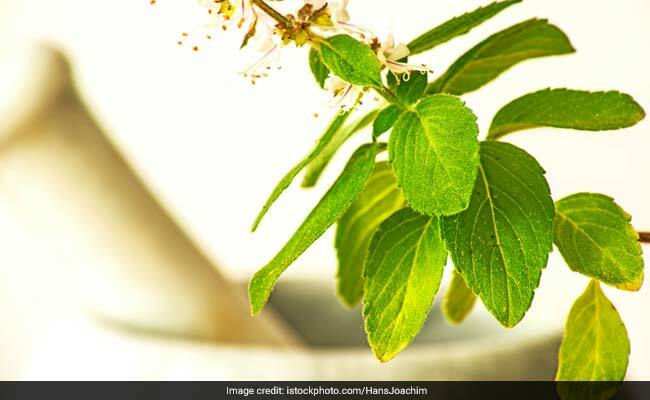 The smooth, glossy and dark green coloured leaves along with the flowers are said to act as natural medicine for type-2 diabetes. Vinca rosea has two active compounds, the alkaloids and the tannins, which are known to help keep your body healthy. You could chew a few fresh leaves to manage blood sugar levels naturally. Take the pink coloured flowers of the sadabahar plant and boil them in a cupful of water. Strain the water and drink it every morning on an empty stomach. Make sure you consult your doctor before switching to any of the herbal plants.